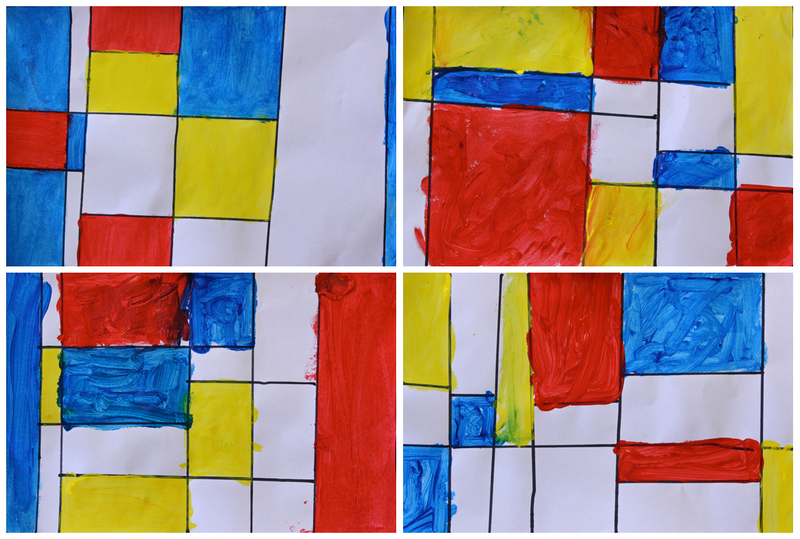 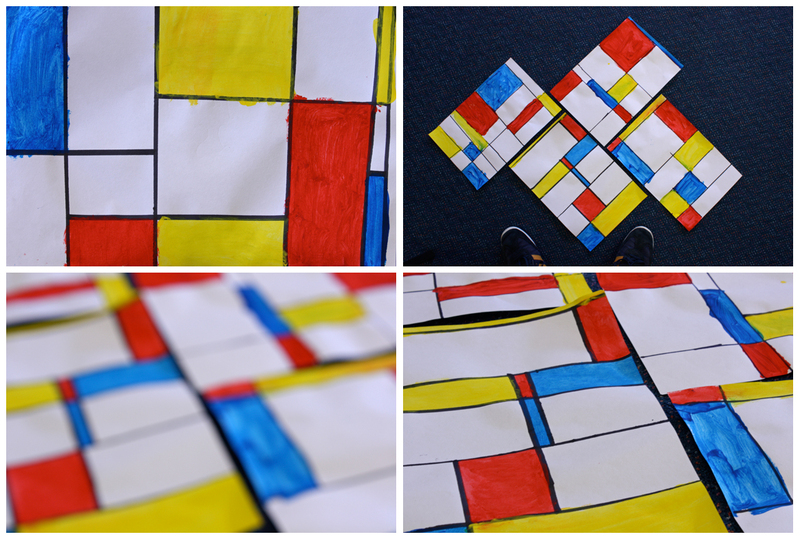 After observing a number of Mondrian's famous primary coloured compositions, this year 2 class made their own grid of vertical and horizontal lines with permanent marker before filling in their resulting squares and rectangles with regular acrylic paint. 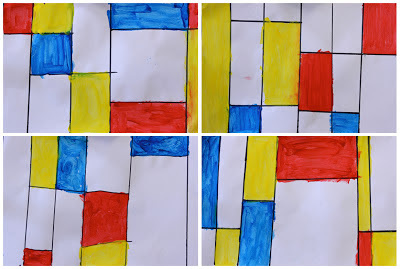 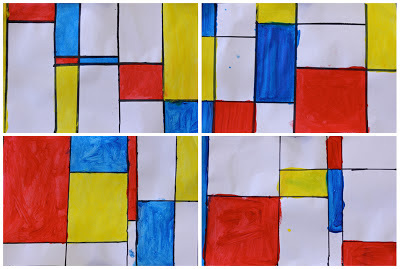 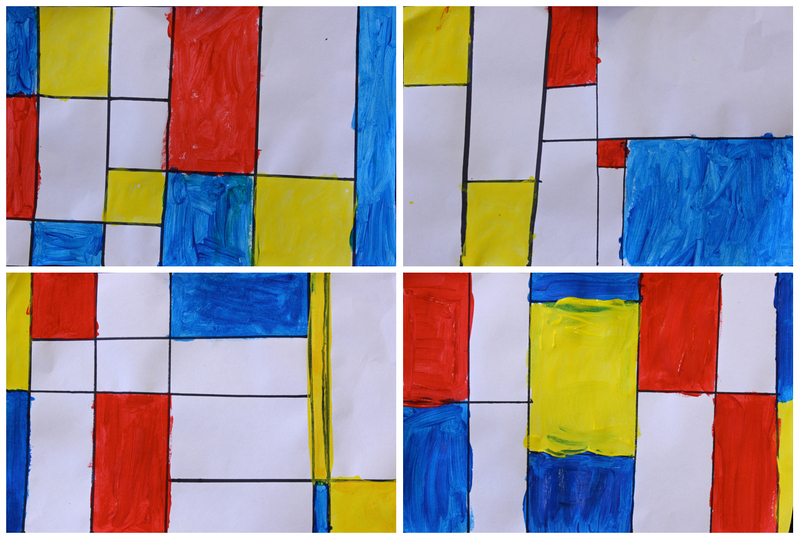 Before I undertook this lesson I was having second thoughts about the possible “sameness” of each student's art, but I decided that if Mondrian himself can rework this idea again and again and again, then surely it's worthwhile that the students experiment with the same. And you don't have to look closely to realise that none of these are identical!